The Idaho State Board of Education authorized the University of Idaho to proceed with plans to construct a new 4,200 seat basketball arena on the Moscow campus. The authorization also states that the project be "contingent on approval of the project by the [Board] executive director in consultation with the new president of the University of Idaho once named by the Board." "We think the new arena is a great project," said Dr. Linda Clark, Board president. "We also think it is important that the new president has an opportunity to review the project and provide input." 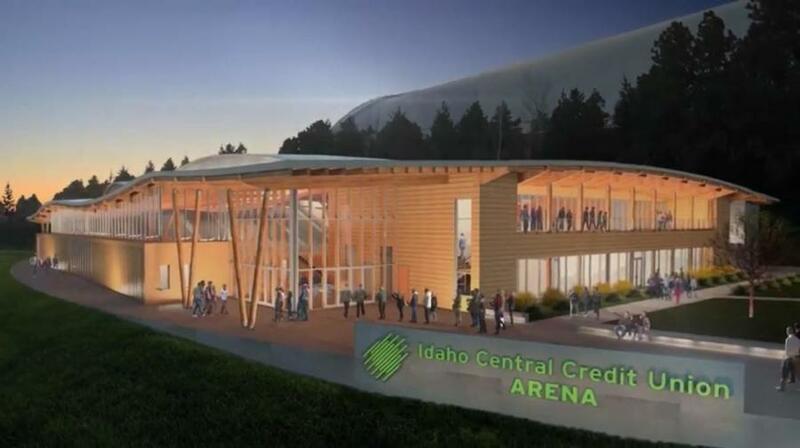 The Idaho Central Credit Union Arena is expected to cost $46 million. The Board granted permission to issue bonds or use $29 million of University of Idaho reserve funds to cover initial construction costs. Under that plan, the money will be paid back to the reserve fund through gifts, pledges and increased student facility fees. In April, UI will request the Board approve the student facility fee increase which would double the fee from $30 to $60 per year, raising approximately $17.5 million over 35 years. The Board authorized naming the arena last year when Idaho Central Credit Union donated $10 million to the project. UI can move forward with all necessary consulting and vendor contracts to implement the project proceed with the bidding and construction of the arena. The Board also conducted executive session interviews with four UI president finalists and intends to name new presidents both at the University of Idaho and at Boise State University by April.